We ask: "Wouldn't it be better for the party if David Trott were to actually challenge a Democrat?" Fabulously wealthy foreclosure attorney and generous friend of the GOP, David Trott, decides it’s time to fulfill his lifelong dream of becoming a United States Congressman. He claims to be conservative, and Lord knows we need all we can get in Congress, so that should be a huge and appealing plus. But, instead of throwing his considerable assets and resources at a vulnerable and flaming liberal Congressman Sander Levin, who is older than dirt and an avowed leftist- Mr. Trott would instead prefer to challenge one our own, GOP freshman Congressman Kerry Bentivolio. Granted, Trott does live in Bentivolio’s 11th Congressional District- but just barely. Considering the facts- that residency in the district is NOT required, and that Trott lives about 3 miles from Levin’s district, one must question the motivation of a man who’d prefer to beat a GOP Congressman instead of a senile 82 yr old socialist Democrat. 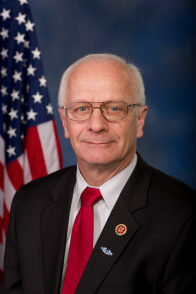 Adding insult to injury, upon completion of his first year, nonpartisan GovTrack.org just ranked Congressman Bentivolio as 40th out of all 439 in Congress- in their category of “Most Conservative”. Seriously. Ya just can’t make this stuff up and make it more ridiculous. Can someone please explain the logic? Would it not be considerably better to have two Conservatives from Oakland County serving in Congress instead of just one? If your job was to grow the clout of the Michigan Republican Party in Washington and here in Michigan, wouldn’t it seem prudent for Party Chairman Bobby Schostak and Oakland Co Chairman Jim Thienel to counsel Mr Trott on the concept and importance of beating Democrats instead of Republicans? Gentlemen……..Did you? And if not, why not? And if you did, why is Bentivolio spending cash to defend against a Republican while Comrade Sander Levin isn’t? Is being a principled Conservative incumbent that’s very popular with the Conservative grassroots, more threatening to other Republicans than Democrats- and particularly arguably brain-dead old socialists? If it truly is “all about party unity”, then that’s great. So go beat the pants off members of the Democrat Party at a time when they’re most vulnerable- AND AMERICA IS TOO. I guess we can continue to point out how 'wonderful' Trott is over the next few months. It should also be noted that Democrat Rep. Gary Peters' district is also very close to the Trott residence. And since Peters is running for the US Senate, his seat is open for a challenge between Republicans and Democrats and candidates from all of the other various parties in Michigan. When driving from Trott's home to nearly all points in Peters' district, the needs of the constituents for representation in Washington in the two districts are identical on all issues, and in dire need of attention to detail from a Conservative perspective. 9th District: A district where the republican party base is dominated by Reagan-style conservatism. Incumbent Democrat, who seems to win elections primarily on name recognition, the elder brother of the retiring senior U. S. Senator. The two candidates currently jockeying for the republican nomination to challenge him are: George Brikho from Troy, who as of December 31st has -$1,234.68 as his cash-on-hand; and Gregory Dildilian from Royal Oak, who as of December 31st has -$122.03 as his cash-on-hand. 11th District: A district where the republican party base is dominated by Reagan-style conservatism, and at last report has a three-horse democrat primary in progress. Incumbent Republican, who is very popular with the party's grassroots base, who is among the top 10% with regard to conservative credibility, and who reports $130,133.35 cash-on-hand as of December 31st. The most recent poll that I've seen for the republican primary (the only poll that I've seen to date, actually) has Trott down by ~19 points (n=717, MoE=±3.66%). 14th District: A district where the republican party base is equally dominated by Reagan-style conservatism as well as Palin-style tea partiers. The seat is vacant because the incumbent democrat has surrendered it in order to be his party's consensus nominee to replace our retiring senior U. S. Senator. The democrat primary contest to replace him currently has at least eight candidates who are either publicly declared or duly filed, and two more who might yet get into the pool. The only republican candidate currently in this race is a technology businessman from Kennesaw, Georgia, who's relying on the fact that he used to live in metro Detroit (and that the Constitution only requires residency at the time of the November election).
. . . so, logically, everyone's favorite foreclosure attorney (who reports $710,729.19 cash-on-hand as of December 31st) believes that the Party Of Ford is best served by him taking on the only republican congressional representation that Wayne County has, and our new National Committeewoman is not only okay with this, she's been one of his campaign co-chairs from the outset. a.) someone high up in the party kakistocracy persuaded him to do so as payback for getting embarrassed during the last election. b.) the 11th is where he figured his best chances would be to win. Levin has got a good scam going on in the 9th and will eventually die in office just like Dingell will (both from old age). The abomination that is the 14th District may be dominated by conservatives, but its borders throw in too many variables for a guaranteed win by anyone conservative, much less anyone calling themselves a "republican". So with the premise of Republicans shouldn't challenge Republicans, certainly you were cursing Kerry's name 2 years when he was lined up to challenge a conservative Republican incumbent in McCotter? You know, before McCotter's implosion? And anyone who thinks that the 9th or 14th districts are winnable for a Republican is just as delusional as a Democrat who thinks they can win in the 11th. Actually, primaries are a good thing. Especially if there is a reason. I have yet to see Trott disagree with Kerry, yet he wants to 'take him out'. Tim's question is a reasonable one. As I've pointed out before, the core purpose behind challenging an incumbent elected official (whether in a primary campaign, a general campaign, or even an internal party contest) is twofold: first, to draw attention to the assertion that the status quo is unacceptable, and second, to offer solutions to the problems presented as cause for challenge. Regardless of any other factor, these two postulates must be firmly established ab initio, otherwise the challenge is pointless. A challenger who's perfectly comfortable with things as they are, save that he can run it better, is worthless if there's no actual vacancy to be filled. Similarly, a challenger who can point out in detail what's wrong with the way things are, but offers no practical solutions . . . infinitus est numerus stultorum. 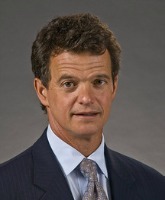 So, what, exactly, was David Trott's causa provocare as regards Kerry Bentivolio? Article I § 2 of the U. S. Constitution only stipulates that the congressman-elect be "an Inhabitant of that State in which he shall be chosen" at the time of the election. Thus, the fact that Trott doesn't live in either the 9th or the 14th is technically irrelevant. As far as the districts being drawn to ensure party incumbency, need I remind you of how many deep blue states Ronald Reagan walked away with when he won the 1980 Presidential Election, let alone the record-setting landslide he accomplished four years later? The electoral predisposition of the districts assumes establishment-approved candidates. Upend the paradigm, and watch safe chairs flip. One small problem with your second paragraph. In as recently as 2000, Detroit had a population of just shy of 1-million. Ten years later, it lost nearly a quarter of that. Today, it's still dropping like a brick. Those people didn't just disappear off the face of the planet forever. They moved out into the surrounding 'burbs. In too many cases, they have brought a strain on local governments with them. I can also safely say that the majority aren't "Reagan Democrats" by any stretch of the imagination. They are the by-product the implementation of Cloward-Piven on a large scale. Section 8, WIC, Medicaid and Bridge Cards are issues near and dear to their hearts. True, we have people like Brooks who'll trade their principles for political expediency. But, if a political nobody like Trott thinks that he can replicate that on the campaign trail and win conservative votes...good luck. KG, that's sorta my point. If Trott were indeed a bona fide conservative, then we'd already know why he's challenging Bentivolio, and the rationale would make sense. As I mentioned a week ago, I've yet to see any poll in this primary other than the one run back in mid-September. Currently, Trott's faring somewhat better than Cassis did back in '12, but I suspect that there's a reason that no one's run a follow-up poll as yet. Do you use latin to make yourself sound smarter? Cause you look like a fool. Resorting to ad hominem remarks is the sign you have nothing of interest or value to offer. Noted.